Although Trump's plans for trading with the country wouldn't appear to indicate a warm relationship with China, he has more supporters in the country than you might think. According to the Daily Beast earlier this summer, an official newspaper of the Chinese Communist Party once ran an article titled "Trump is not a lunatic," which went on to praise the Republican candidate's business qualifications; additionally, just this week, UK newspaper The Guardian reported on the possibility that Chinese leaders look forward to a Trump presidency. That being said, this doesn't mean the Chinese government can't use the opportunity to rub salt in the collective American wound opened by Trump's likely election. 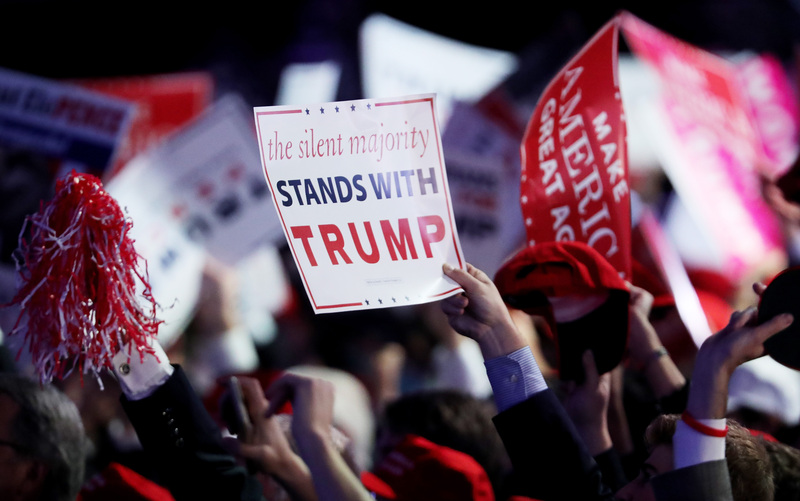 According to the Independent, Xinhua News Agency wrote that his campaign is a sign that "the majority of Americans are rebelling against the U.S.'s political class and financial elites." Of course, Trump is one of those financial elites; he claims to be a billionaire, although he hasn't released his tax returns so there's no way to know if that's actually the case. But that hasn't stopped him from playing on the working-class vote during his presidential campaign, and to the astonishment of nearly everyone, the tactic appears to have succeeded. On Nov. 8, election results from polls reporting nationwide indicated that he had a lead over Democratic presidential nominee Hillary Clinton. So, to recap: Trump is likely to become president, which is a turn of events so absurd that a Chinese state media outlet is using it to illustrate the failings of democracy. Process that information how you will — may I suggest lots of cat videos and romantic comedies to help you deal with the coming political mayhem? Here's one to get you started. Take care of yourselves, everyone. And more importantly, take care of each other.